With a huband, 2 boys(now men), grandsons, and lots of nephews(now men), I have lots of knowledge about boys and their toys. As I illustrated on my card these are 3 favorites of boys and surprisingly their favorites don't change much as they become men. 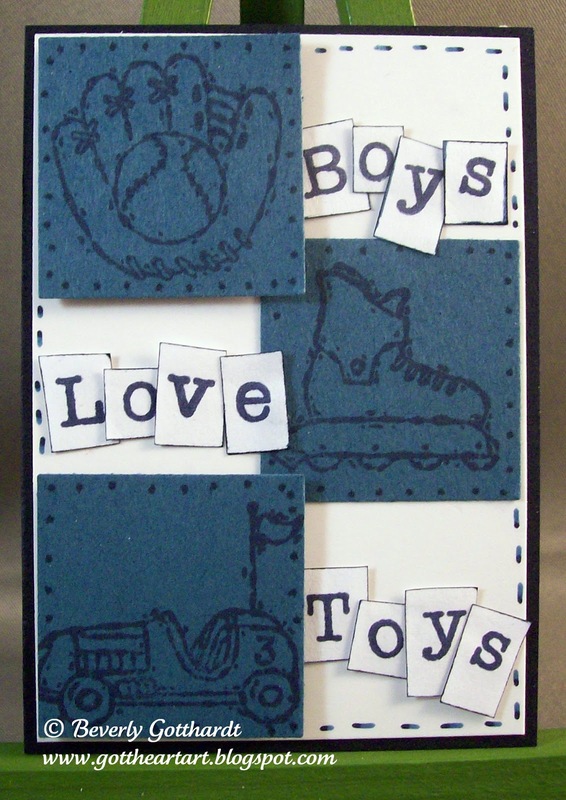 Supplies: Navy ATC, Papers: Stampin Up-Not Quite Navy, Whisper White, Stamps: Stampin Up-Toy Box, Alpha unknown, Ink: Stampin Up-Not Quite Navy and marker, Stampin Up dimensionals, glue dots. 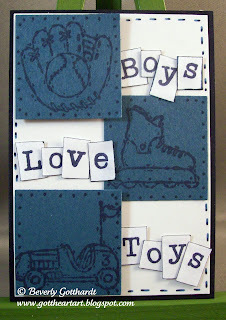 superb boys ATC and thank you so much for joining in with our ATC blog challenge. good luck for the draw on Sunday.